I find it to be an easy to get the hang of application to record/mix music with. I was able to record decent quality guitar in only a few minutes. This is a handy VSTi which can give you realistic sounding drums for your mix without too much cost or effort. In this how-to I will show you how to get EzDrummer working with Mixcraft and how to import the EzDrummer samples into your mix. Firstly start by downloading both programs mentioned above. 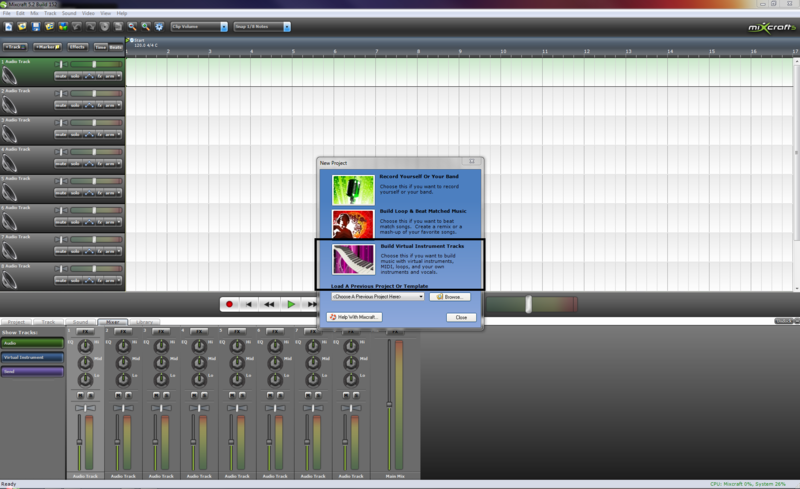 Then start Mixcraft.you will be shown the following screen. 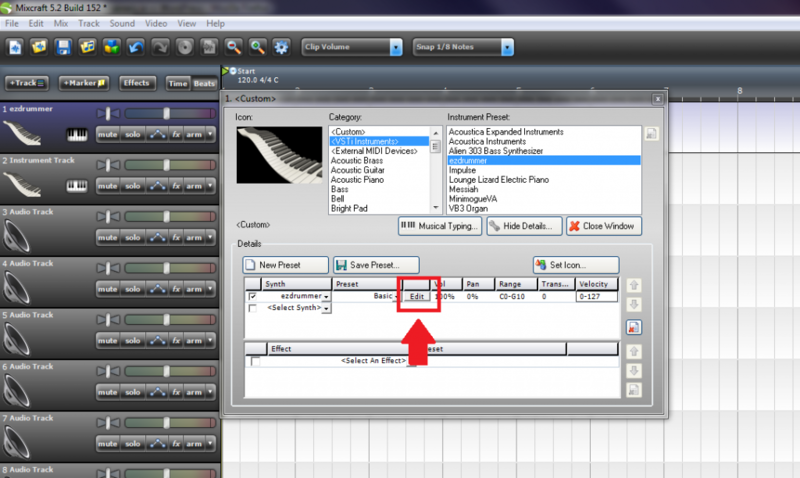 Select the build virtual instrument tracks option. Under VSTi instruments we should see our ezdrummer preset if it installed correctly. Selecting it will show this drop down box of details. Select the edit option to open ezdrummer. This will open the following display. Give the VSTi some time to load all the drum samples and then click on the open grooves button. Doing so will open the library of drum loops that you can use in your mix. 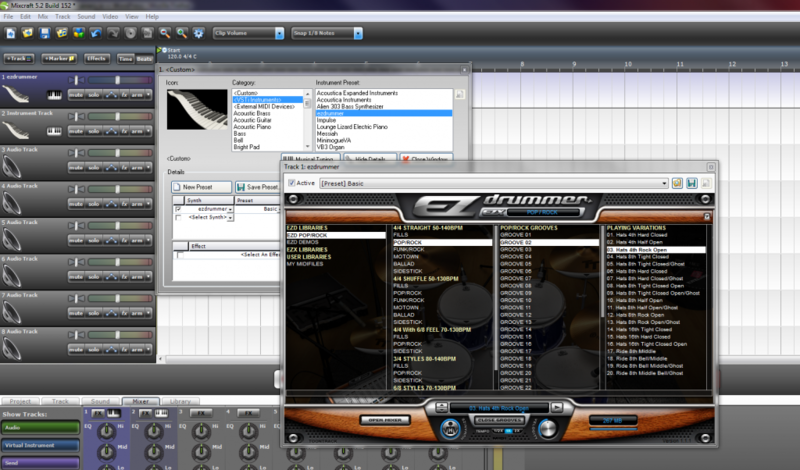 There are many expansions to EzDrummer which can provide many different sounds and loops that you can work with. When you have found a loop that you like simply drag it from the now playing box into the mixcraft timeline. Now you can insert fills and record your music over the drum loop! Thanks for the tutorial. Although EZDrummer loaded properly, I have a question. 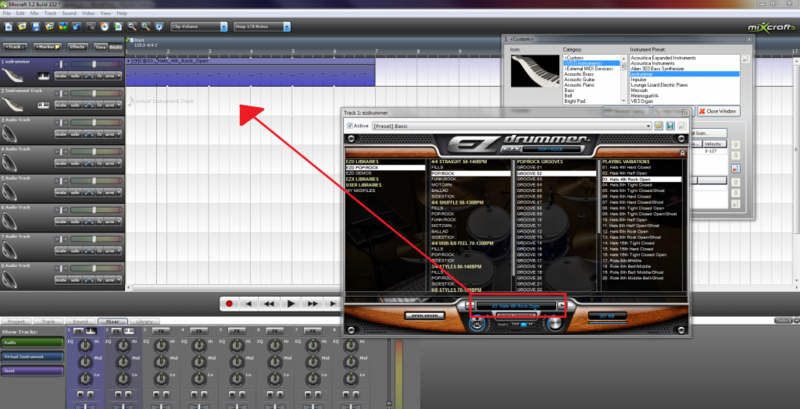 I noticed that when I open EZDrummer in Mixcraft 7 Pro I get 8 channels on Track 1 i.e. 1.1, 1.2, 1.3, etc. My first attempt used a drum loop that only used 6 channels leaving 2 empty. Is it possible to load other percussion sounds on top of what i have? When I tried, the old percussion sounds were erased or silenced. Much the same as Kari. I would try reinstalling ezdrummer. 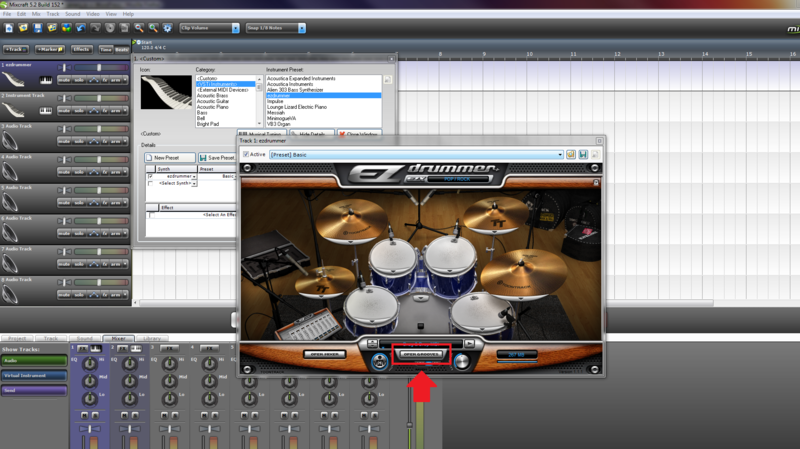 EZDRUMMER should be available to you in mixcraft if you installed it correctly. Did you try reinstalling ? When I open the vsti menu I am not seeing ezdrummer. What now? so my question is when you have both programs and you open up mixcraft and EXDRUMMER is not their as an options. what would you suggest to do?